Welcome to our Glock Pistols section. 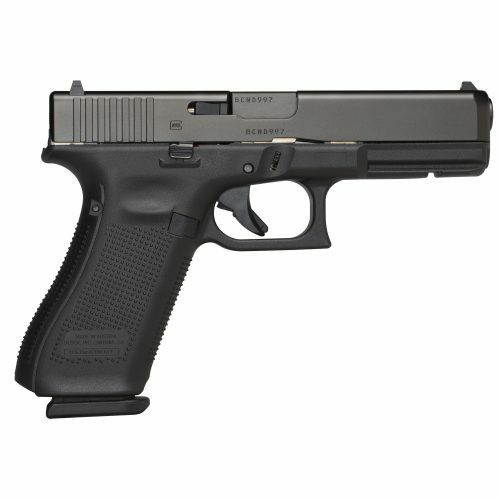 In this section you will find some of the best selling handguns in the country. 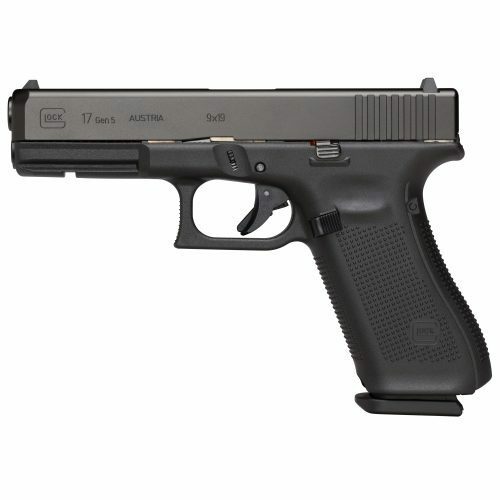 The original Glock pistol was the Glock 17, now know as the 17 GEN 1. 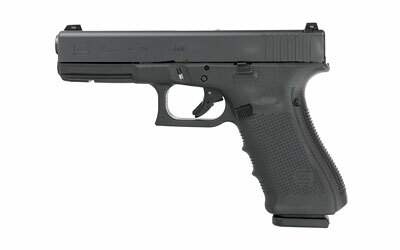 That was way back in 1981, and Glock is now up to GEN 5 and they continue to improve on their ground breaking design. 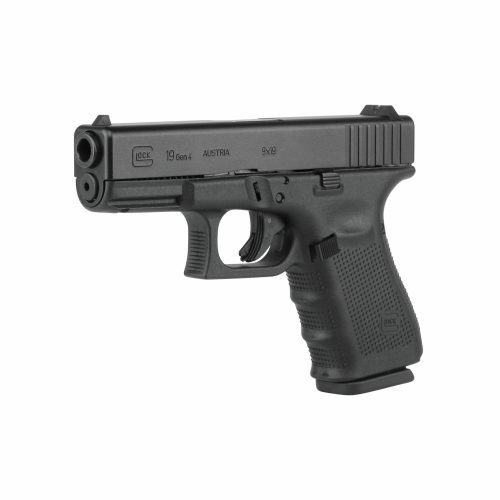 Glock has several pistol sizes and caliber options. Ranging from the 40 GEN 4 MOS 10mm with it's 6.02" barrel to the 42 .380acp with it's 3.25" barrel. 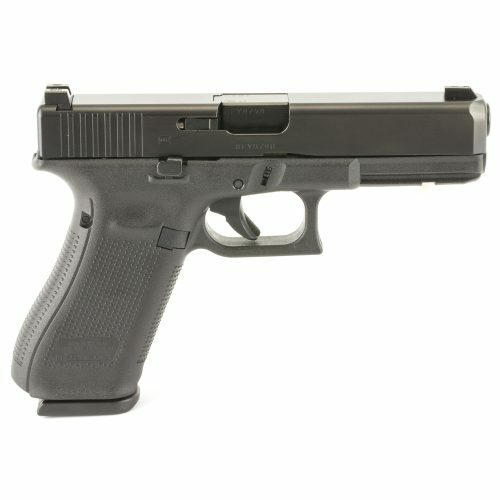 Duty sized pistols like the G17, G22, and G31 dominate the law enforcement market in the United State. 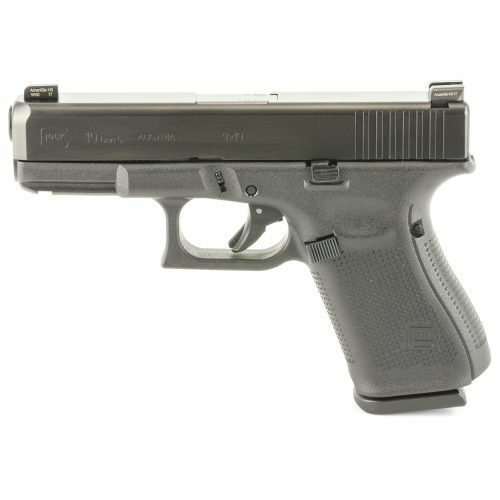 Competition pistols are also available as the models G34, G35, and G41. The Glock 19 in it's various generations remains one of if not the top selling handgun in the USA every year. 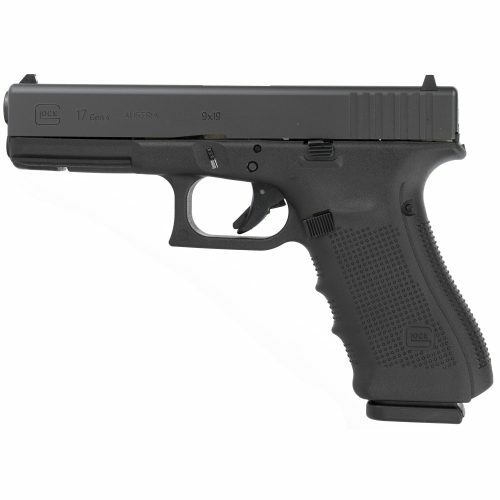 The introduction of the G42 and later the G43, gave Glock a single stack .380acp and 9mm concealed carry pistol that Glock fans have been looking for. 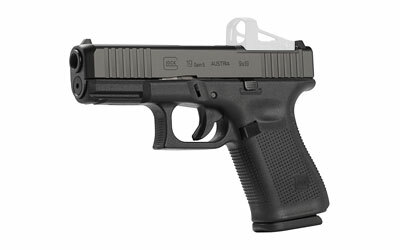 In recent years we have seen Glock go from GEN 3 to GEN 4 and now the introduction of the new Glock GEN 5 pistols in 2017. 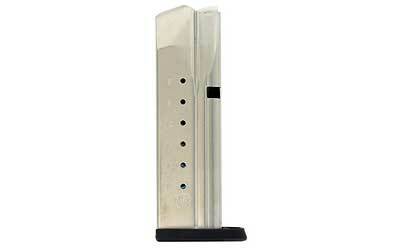 Marksman Barrel: New rifling and crown deliver improved accuracy. nDLC finish: This ion-bonded finish reduces corrosion and scratching and improves performance in adverse or de-greased conditions. 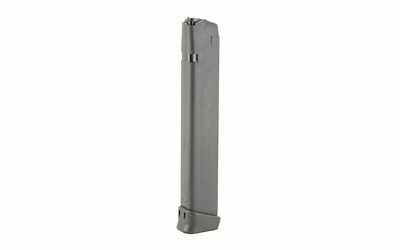 Flared mag-well: The larger opening found in the mag-well of Gen 5 pistols makes quicker and easier magazine changes possible, particularly in high-stress situations where fractions of a second matter. 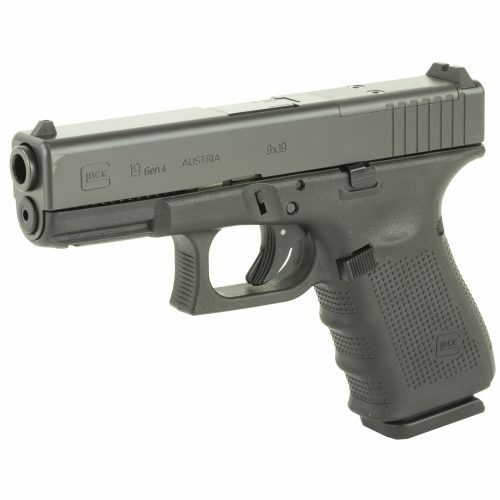 In 2018 Glock added the 19X to & 45 GEN 5 their offerings giving them a full framed handgun with a shorter slide. 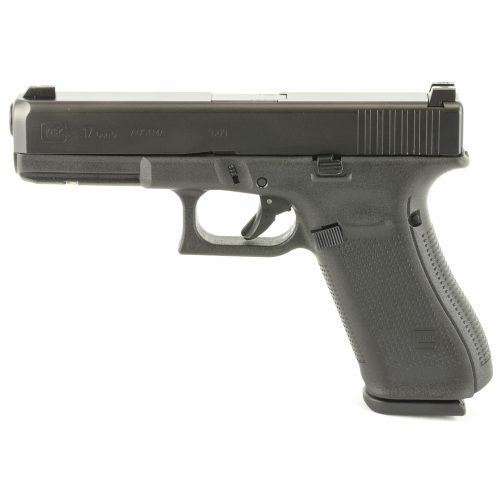 Essentially combing an 17 GEN 5 frame, with a 19 GEN 5 slide, then packaging it with 19 & 17 round magazines. 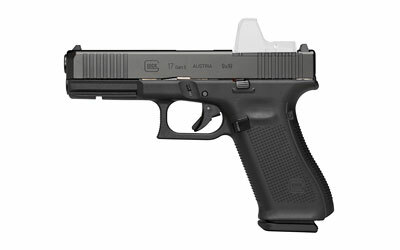 NEW for 2019 the Glock 43X and the Glock 48 GEN 5! 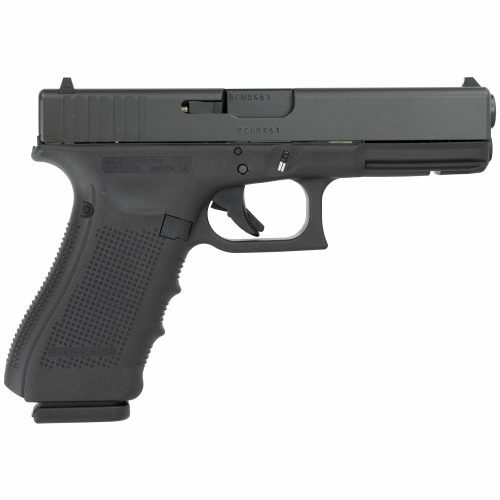 These slimline pistols are Glock's new offering for the concealed carry market! 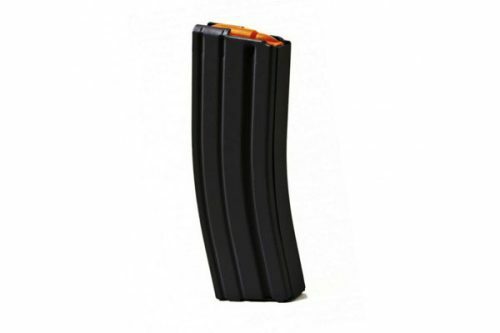 Founded in 1981, and since then they have revolutionized the entire firearms industry. 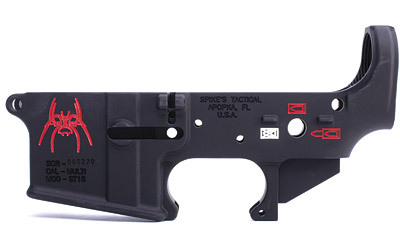 Their line of polymer framed, striker fired pistols have become the go to pistol for police departments in the USA. Currently they have 65% of the market share of handguns for US law enforcement agencies. From their website : "Moving forward, our commitment to "Perfection" remains steadfast: we will never compromise quality. We will continue to invest tremendous resources in the technology and talent necessary to improve our products wherever possible; and we will always strive to deliver maximum customer satisfaction!" Glock is currently one of the most popular handgun lines in the USA. 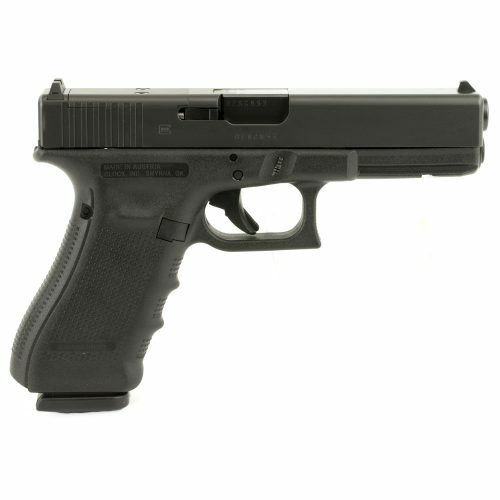 Whether you are looking for a pistol to take to the range for some target shooting, 0r a pistol for competition shooting, or home defense, or concealed carry pistol, they have something for you. 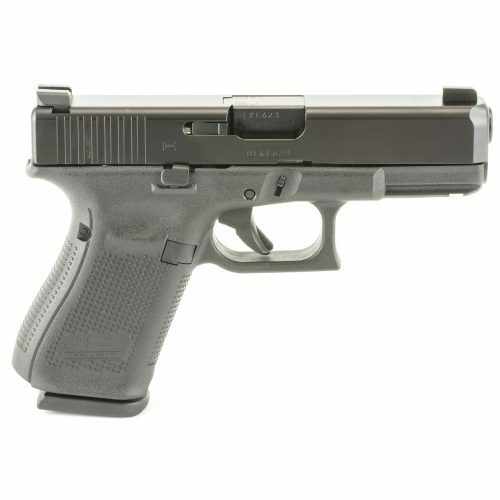 Free Shipping on All Glock Pistols!! !